The party season is almost upon us as well as being smack bang in the middle of Movember. Most of us guys have been busy growing all kinds of facial hair over the last month and it’d be a shame not to do something fun, stylish or festive with it. Now apparently us Brits spend around 3,000 hours of lives shaving which means things can get pretty boring so, Wilkinson Sword have asked me to show you this fab short video animation (it’s only 30 seconds) showing some really fun designs for fortifying your furry facial foliage. If you’re a long time reader of MANFACE, you’ll know I’m a huge fan of the Wilkinson Sword Hydro 5 – read here (as well as the Hydro 5 Power Select – read here). 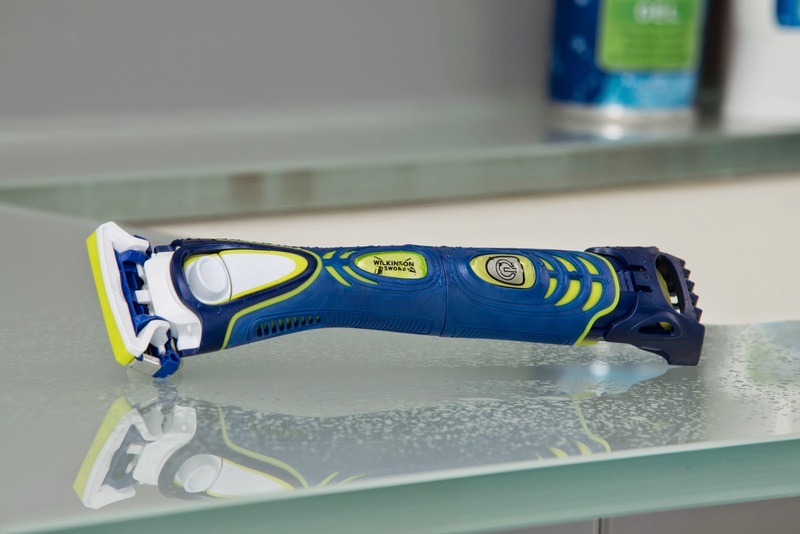 But this time it’s all about the Hydro 5 Groomer, the latest generation of Wilkinson Sword technology. I particularly love the Groomer as it brings a great Wilkinson Sword product to those who want more than just the option of a clean shave with its built-in power trimmer plus industry-leading 5 blade head. Over the last few years I’ve found Hydro 5 great for helping to prevent ingrown hairs and irritation (two things I’m very prone to when shaving). This is down to 2 properties: the aloe vera gel head as well as the closeness and sharpness of the 5 blades. Think of it like a bed of nails – if you jump on a single nail, it’ll cut into you, but if you stand on top of 1,000 nails close together, you won’t feel a thing – it’s a similar principle. 5 is better than 2 or 3! So to shop the range, head over to Wilkinson Sword’s website for their latest array of grooming products or why not give them a like on Facebook for all the latest brand news. This article first appeared on MANFACE written by Thom Watson. It was published on Thursday 19th November 2015 and was last updated on Monday 3rd April 2017 at 1:17pm. It's categorised under Editorials, Sponsored, Wilkinson Sword where you'll find more related content. I spent years just using the cheap bic razors to be honest, but I was always covered in blotches and tended to cut myself a lot. It was only really recently that I started taking my skin care seriously and paying for a better shave as it just makes sense to look after yourself properly. I am going to check this one and out and see what its like, I find with quality razors like Wilkinson Sword that if you shave every day then the razor itself actually lasts longer than using the cheaper ones anyway. Thanks for the post and the intro hopefully I will be looking as smooth as a babies bum in no time.